Lufthansa has canceled 3,800 flights for April 2-4, or virtually all of its operations, due to a planned walkout by pilots, in what would be one of the biggest strikes ever to hit the German airline. The strike affects the vacation travel for the Easter Vacation for many German citizens. The Vereiningung Cockpit, the union representing most of Lufthansa’s 5,400 pilots, last week said it was calling for a three-day strike starting April 2 over plans by Germany’s largest airline to scrap an early retirement deal. Although Lufthansa had improved its offer, the pilots said it wasn’t enough as it didn’t apply to pilots joining after 2014. 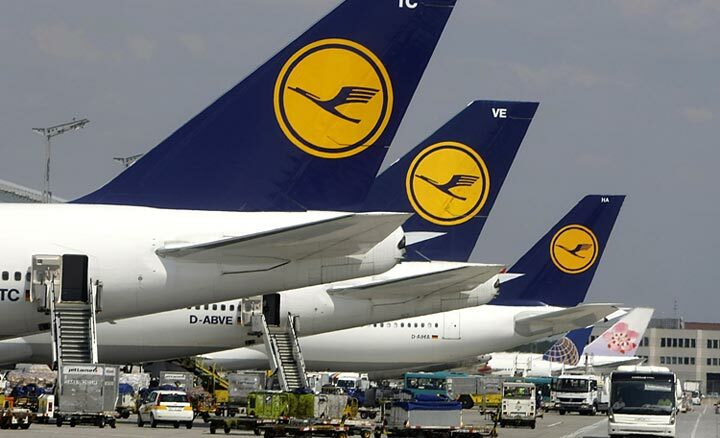 The strike affects flights run by its Lufthansa brand as well as its Germanwings low-cost unit, and it has also canceled 23 out of a planned 31 Lufthansa Cargo flights for the strike period. Lufthansa said it would rebook customers onto other airlines or trains. Its units Swiss, Austrian, Eurowings, CityLine, Air Dolomiti, plus partner Brussels Airlines, would use larger aircraft on routes to and from Germany where possible. Lufthansa also said it hopes to add staff at the Frankfurt and Munich airports over the three-day strike to minimize the impact on customers.